Submit Short Stories! Learn How To Get Your Stories Published! Want to submit short stories for publication? Writer’s Relief has been helping writers submit short stories since 1994. Submitting short stories to literary journals can be challenging, especially if you’re going it alone! These great articles will help you research and target markets where you can submit your short stories! 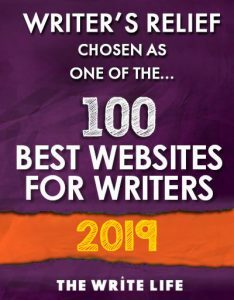 Here, you’ll find everything you need to know to submit your short prose professionally and strategically to literary journals and publishers. 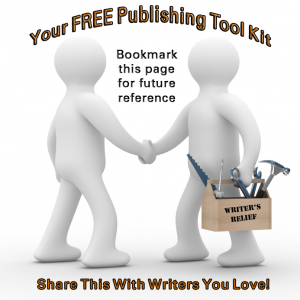 Enjoy our Short Story Submissions Writers Tool Kit! Length Matters: Submit Short Stories For Publication. Like it or not, length matters when you submit short stories. Learn the best word count for a short story if you are submitting to literary journals for publication! How To Shorten Your Short Stories. These days, many editors of literary journals, especially online literary journals, are putting increasing emphasis on short short stories—that is, short stories that don’t exceed about 3,500 words. Find out how you can keep your short stories at the most appealing word count. Short Prose Genres: Defining Essay, Short Story, Commentary, Memoir, and Mixed Genre. If you want to submit short stories for publication, be sure you are certain that what you are submitting is considered a short story! Learn the nuances of short prose genres. How To Submit A Short Story Collection: Tips For Getting Agents’ And Editors’ Attention For Your Short Stories. We’re not gonna lie: It’s difficult to get a short story collection published with a major (or even an independent) publishing house. BUT if you are going to submit a short story collection, be sure you don’t shoot yourself in the foot. Use our strategies—or submit at your own risk. How To Write A Query Letter To Submit A Short Story Collection. Literary agents and editors are very particular about receiving short story submissions. So use our guide to write a killer query letter and you’ll be sure to get off on the right foot! How To Submit Short Stories To Independent And University Publishers. Learn how to submit your short story to colleges, universities, and other small presses. Independent publishers ARE publishing short stories. They tend to be more open to short story collection submissions than major publishers. Learn more! Submit Short Stories: Strategies To Make Your Short Story Stand Out In A Crowd. If you are submitting your short stories to competitive markets (literary journals), you’ll need to set yourself apart. These techniques will help you catch an editor’s eye! Short Story Or Novella? What’s The Difference And Where To Submit Short Stories. You think you’re writing short stories…but are you sure? Before you submit, read! How To Find Literary Journals To Publish Your Short Stories, Poems, And Essays. Want to know where to submit (and publish) your short stories? This article offers valuable tips so you can research your short story submissions by yourself. 5 Elements That Will Muck Up The Chances Of Publishing Your Short Story. Certain short story deal-breakers pop up again and again in submissions—here are a few to avoid! 13 Literary Journals That Publish Sci-Fi, Mystery, Horror, Suspense. Do you write sci-fi/mystery/horror stories? Submit them to these journals! How To Submit Short Stories And Poems To Literary Journals. You’ve written, rewritten, proofed, and polished your short story or poetry. Now it’s time to start submitting your writing to literary journals! Short Prose Genres: Defining Essay, Short Story, Commentary, Memoir, and Mixed Genre. If there are nonfiction elements in your short story, read this! Short Story Or Novella? Where To Publish Shorter Fiction. How should you publish your new fiction piece? As a story or a novella? Let us help. 5 Techniques To Develop Your Short Story Into A Novel. Your short story could be a great novel. Here’s how to develop your ideas into book form. 8 Techniques To Up The Drama Factor In Your Short Stories. Craft a dramatic and emotional short story using these techniques. How To Find Short Story Ideas In Your Own Life. Is your short story idea well running dry? Fear not! New short story ideas might be closer than you think! 5 Ways To Shorten Your Short Stories. Check out these tips for writing shorter short stories. Short Story Checklist: Techniques For Getting Short Stories Published. Use our short story checklist to see if your story is ready for submission to literary journals. Short Story Shortcuts: 4 Techniques For Making A Big Impact In Few Words. Use every element of a short story to the fullest advantage; here’s how! Want To Publish Your Short Stories? Be Fresh! Learn how to craft a short story that’s full of originality. Trendy Short Story Topics That Editors Are Loving. We’ve noticed that there are topics, themes, and concepts that literary journal editors love to see in short story submissions—and some they don’t. Is Your Short Story Publisher-Friendly? These eight short story techniques will make it easier for literary journals to send you an acceptance letter. With the right tools, time, and attention to detail, you CAN submit short stories by yourself! 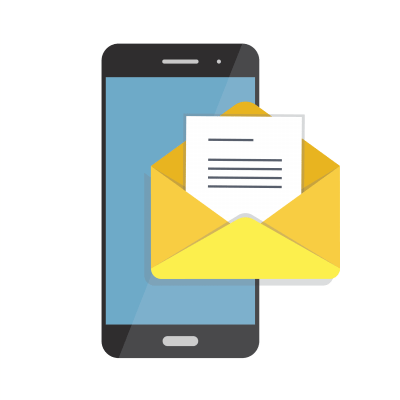 But if you ever want help—if you’re frustrated with the submission process—we hope you’ll contact us. We love helping writers submit short stories!